Posted on July 27, 2018 by Jerry Whitworth | Comments Off on Mighty Morphin Ryu Ranger? 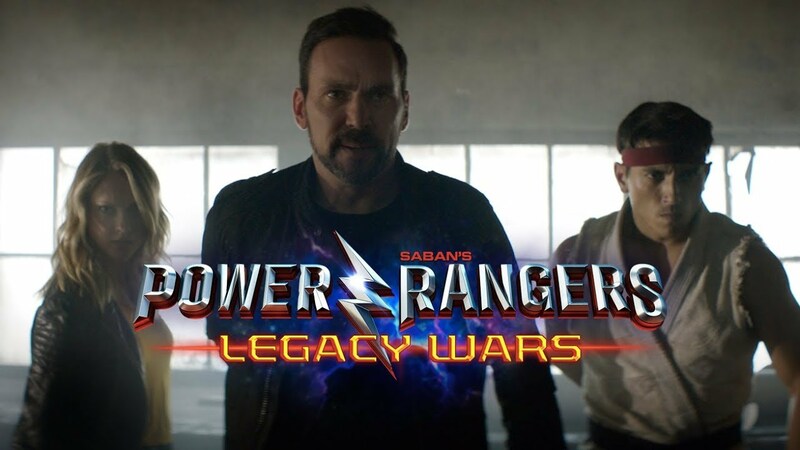 When it was announced that Street Fighter was going to have a presence in the mobile fighting game Power Rangers: Legacy Wars some months ago, the news seemed to be accompanied by crickets. While it was cool that Ryu, Chun-Li, Guile, Cammy, M. Bison, Akuma, and more were coming to the game, such crossovers in fighting games have become fairly commonplace in this day and age. Little did fans know that come San Diego Comic-Con International, we would get a proper crossover. Bat In The Sun Productions made a name for themselves with the 2003 fan film Batman Beyond: Year One but went on to generate a lot of buzz with its web series Super Power Beat Down. This lead to being hired by Valiant Comics to produce the live action web series Ninjak Vs. The Valiant Universe which included Jason David Frank of Power Rangers fame as Bloodshot, one of Valiant’s most established properties (in fact, Bloodshot will be the first character from Valiant adapted for feature film with Vin Diesel starring in the titular role). In San Diego, we learned Bat In The Sun’s latest project: Power Rangers Legacy War: Street Fighter Showdown. Comments Off on Mighty Morphin Ryu Ranger?